Schmincke Aero Color Professional Airbrush Colours are specially formulated for the airbrush but are also suitable for retouching pens, dip-pens, and brushes. Ready to use, water-resistant, and nearly odourless, they are available in 36 brilliant colours as well as several special effects colours. Aero Color Professional Colours are rich, vibrant, professional-quality paints that are easy to use, light-resistant, and highly pigmented. Many of the colours are single-pigment shades that guarantee brilliant mixtures and an unlimited variety of shades. They can be used full strength or diluted with water. 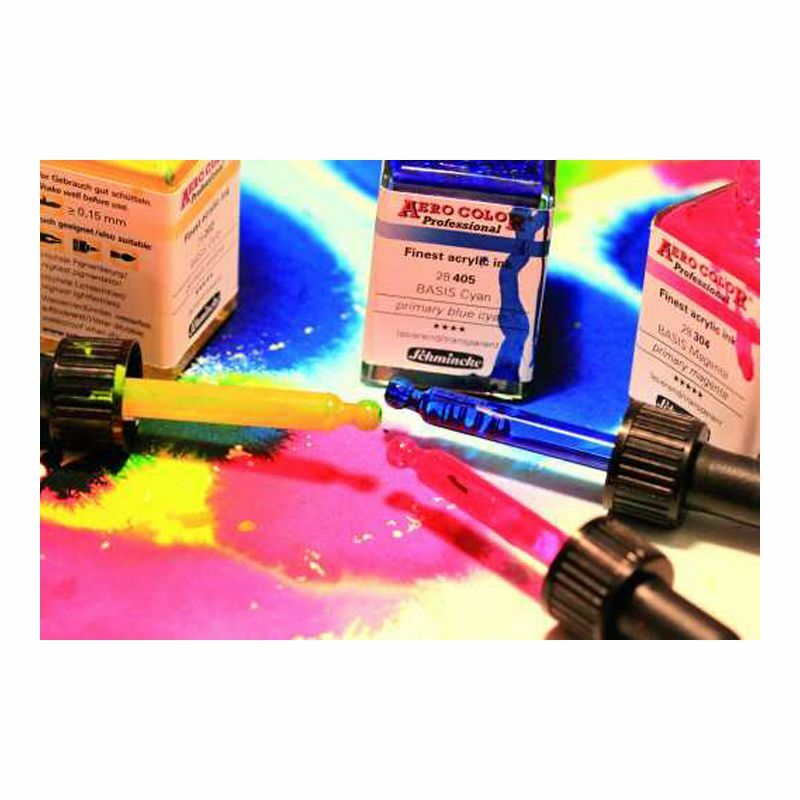 Aero Color Professional adheres particularly well to all types of paper and cardboard as well as traditional non-absorbent surfaces such as film, hard plastics, canvas, and metals that have been prepared properly. Many popular watercolour techniques can also be realized with Aero Color Professional, including wet-in-wet painting, clear paintbrush lines, and glazing techniques where the colours are diluted with water. When dry, the colours become waterproof, making it possible to achieve interesting combinations with Horadam Aquarell colours. Aero Color Professional Airbrush Colours become viscous when stored. They liquefy, however, after being shaken briefly.